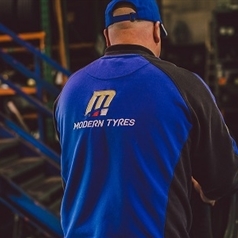 Started in 1965 Modern Tyres has grown to become Ireland's largest independent tyre retailers with 40 branches Nationwide. 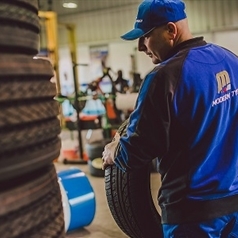 We pride ourselves in delivering a top class service offering our customers the largest choice of tyres in stock. You can be assured that we have something to suit your vehicle and your budget. 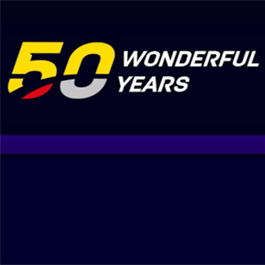 In 2015 Modern Tyres celebrates 50 years in business, started back in 1965 by Jimmy Byrne the company is still family owned and run today. 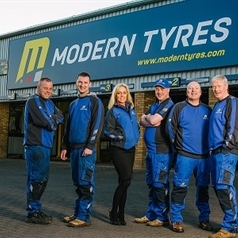 As the company expanded Modern Tyres made its first major acquisition by purchasing Ards Tyre Service in Oct 1995, after the success of this came further acquisitions in Belfast, Holywood, Lisburn, Larne, Ballymena bringing the total number of depots to 16. 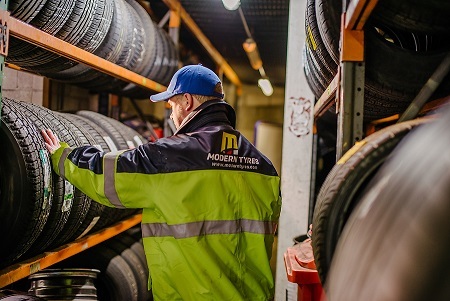 Around this time Modern Tyres recruited a financial controller James McKee from Local accountancy firm Grant Thornton, who had managed Modern’s accounts for many years, and a general manager Charles Corscadden from Bridgestone who had over 25 years' experience in the tyre industry. 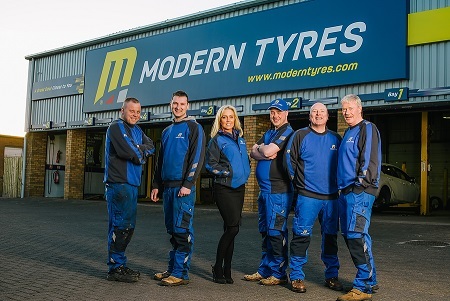 The time was coming for something big and it came in Aug 2002 when Modern purchased the Northern Ireland arm of U.K. giant Motorway Tyre & Exhaust centres. 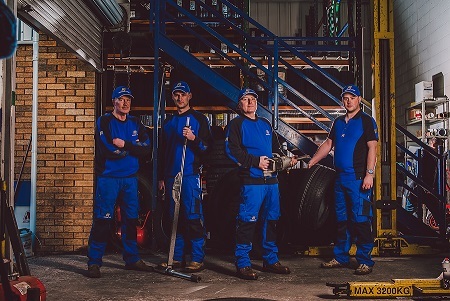 This was the largest single purchase of tyre depots in Northern Ireland history, making headline new across the province. Further acquisitions were made in Belfast, L'Derry and Strabane during 2003 to 2005. However in 2012 the opportunity to take over the last three remaining ATS branches in Northern Ireland presented itself giving us a total of thirty branches. As a company we have always wanted to move into the South of Ireland and in 2013 that opportunity came our way when Hanover Tyres cameo on the Market. With ten locations spread from Dublin to Cork it took our tally of depots to forty. 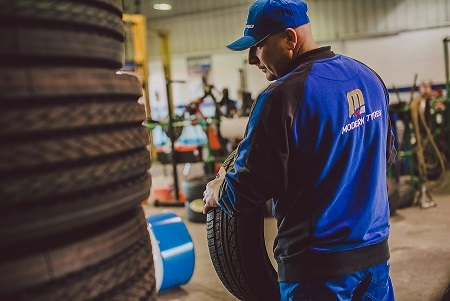 These acquisitions have made Modern Tyres into a Nationwide network of forty retail fast-fit centres and a Southern Ireland tyre wholesale company, making it the largest independent tyre retail / wholesale company in Ireland. 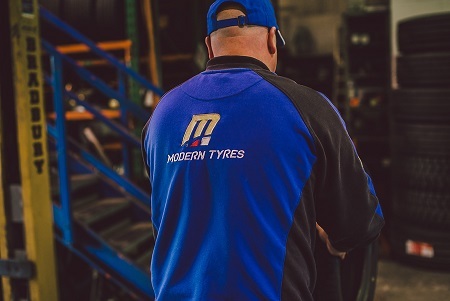 Modern Tyres prides itself on offering an unrivalled level of customer service through the retail, fleet, commercial, agricultural and wholesale markets offering the widest selection of tyres from the leading manufactures as well as batteries, exhausts and Alcoa truck alloy wheels. 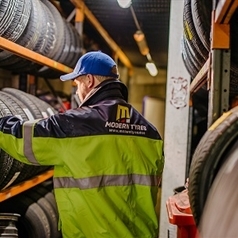 Modern Tyres deal direct with all major tyre manufacturers bringing in containers to their warehouses in Enniskillen and Newry on a daily basis. 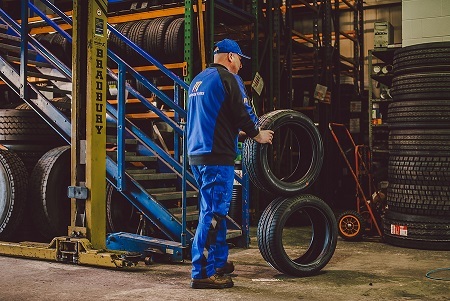 With 30 centres throughout Northern Ireland and 10 in Southern Ireland we stock an extensive range of tyres to service the requirements of today's motorists. 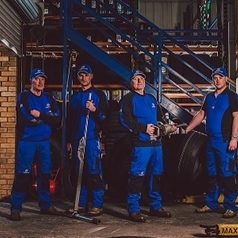 We pride ourselves on the service we give our customers and train all our staff to the highest standards who will give advice on the best tyres to suit your needs. With a stock holding of upwards of 100,000 car van and 4X4 tyres available at any one time. 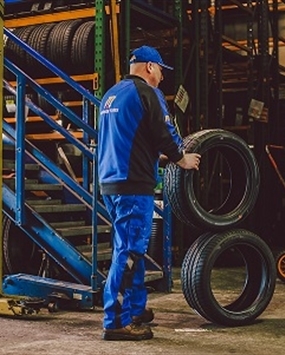 Tyres are delivered using our own fleet of delivery vans backed up with a next day courier service.